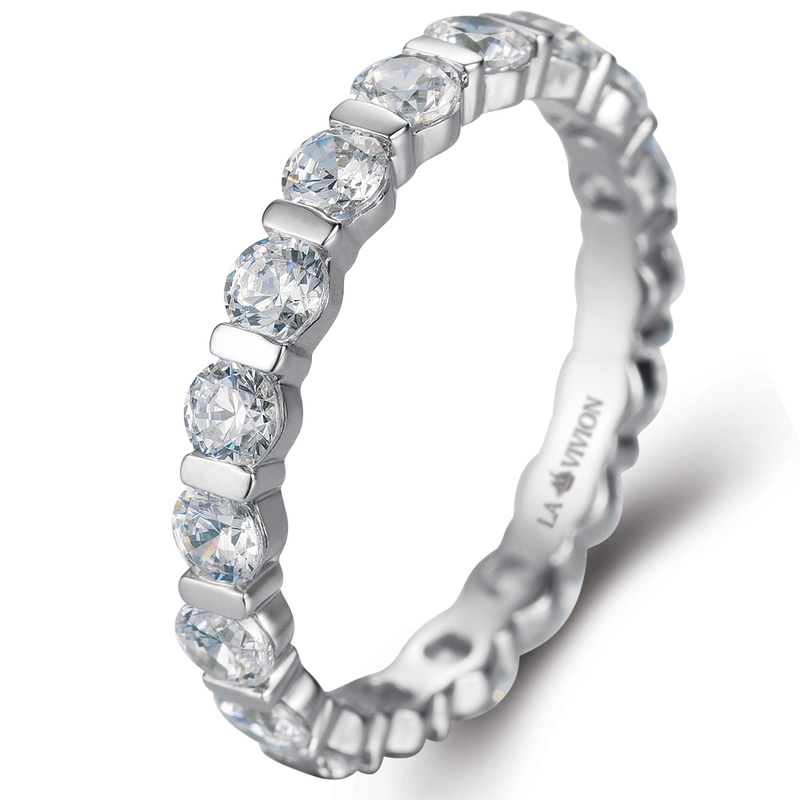 Channel setting ladies Eternity ring set with round diamonds. Total diamonds weight is 1.5 ct. up (depends on the ring size). Perfectly fits to most of Engagement Ring models.